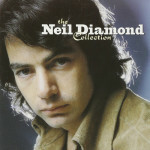 (MCA / Universal Records) This is a collection of Neil Diamond singing his hits from the late ’60s early ’70s. For those of you wanting to hear his “Jazz Singer” era tunes such as Coming to America, you’re just going to have to wait. What you will find here are the tunes that you might recall from your childhood. It’s funny, but I remember that I use to scream at my mother to turn off the music because it hurt my ears, whenever a Neil Diamond song would come one. Now that I have a chance to listen to his music again, it’s so fun. On his classic tune Play Me Neil sings, “You are the sun. I am the moon. You are the words. I am the tune. Play me.” It’s enough to make one wet their pants, in a good way. This is going in my permanent CD collection and it should go into yours as well.